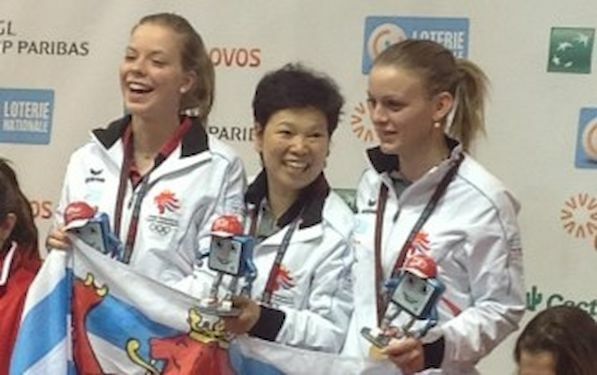 Luxembourg clinched both gold in table tennis Team’s events at the 15th Games of the Small States of Europe. In men’s Team’s Event Gilles MICHELY, Traian CIOCIU and Mike BAST recorded three 3:0 victories. They beat Malta, Montenegro and San Marino in straight matches. Only Monaco managed to put them under pressure. They were forced to go full distance against Anthony PERETTI, David SAMSON and Martin TISO. Monaco clinched silver and Malta is third. NI Xia Lian, Tessy GONDERINGER and Sarah De NUTTE succeeded against Malta, Monaco, San Marino and Iceland. Malta is second and Monaco is third. All matches title winners won by 3:0 margin.